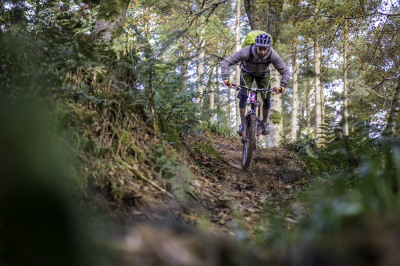 The famous Tweed Valley draws mountain bikers to the Scottish Borders from all over the world, yet just a stones throw away in the next valley over there is a wealth of natural trails unknown to many. Whether you are new to cycling or have been cycling your whole life, we can offer a customised route to suit your ability or even challange your ability. 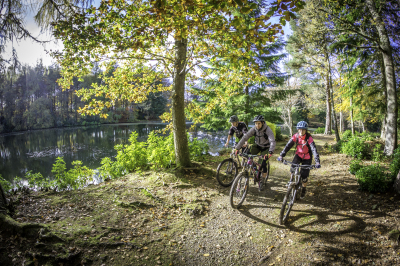 Most of our rides are based in the Selkirk area but we can guide at a wide range of locations, including the mighty Tweed Valley, at your request. George is our main guide here at Bike the Borders. Away from racing George loves nothing more than going out on his bike on an adventure. Having lived in the Scottish Borders all his life he knows all the ins and outs of the wealth of trails available to you. He is British Cycling MBLA Level 2 Qualified, a certified Outdoor First Aider and has been riding bikes for 16 years. With his calm and relaxed manor you couldn't be in safer hands. George's expertise don't stop at just taking you safely around the route planned for you. 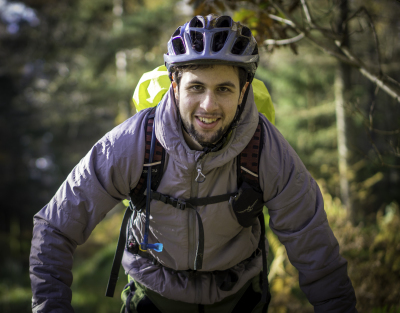 George knows exactly how to ride the amazing trails around Selkirk and can offer you help and guidance to get the most out of a trail new to you. You can garuntee that you will finish the ride with George not only smiling from the fun trails, but more confident about your riding!